Today marks a significant steps forward for the regions shipping and logistics capability. Peel Ports today formally opened the new Liverpool2 deep water dock. Which will enable the Merseyside Port to compete on a global scale and welcome the world’s biggest ships for the first time. Before the new terminal opened the Port of Liverpool could only handle 5% of the world’s container ships. The new terminal means it can handle 95% of them, including new ships designed to go through the widened Panama Canal. The Port of Liverpool is handling more containers than ever – and that’s before its new container terminal officially opens today. 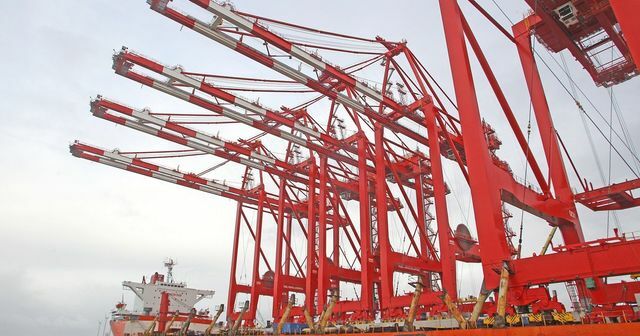 Owner Peel Ports will today mark the official opening of the £400m Liverpool2 container terminal, which will allow it to welcome the world’s biggest ships for the first time. It’s the UK’s only deep-sea container terminal north of Felixstowe and will mean shipping firms can get goods closer to the North of England. That could help create jobs not just at the port but also at warehousing and transport firms across Merseyside and beyond. And today Mark Whitworth, chief executive at Peel Ports, told the ECHO that Liverpool2 puts Liverpool “back in the global game”.